I know, I know. 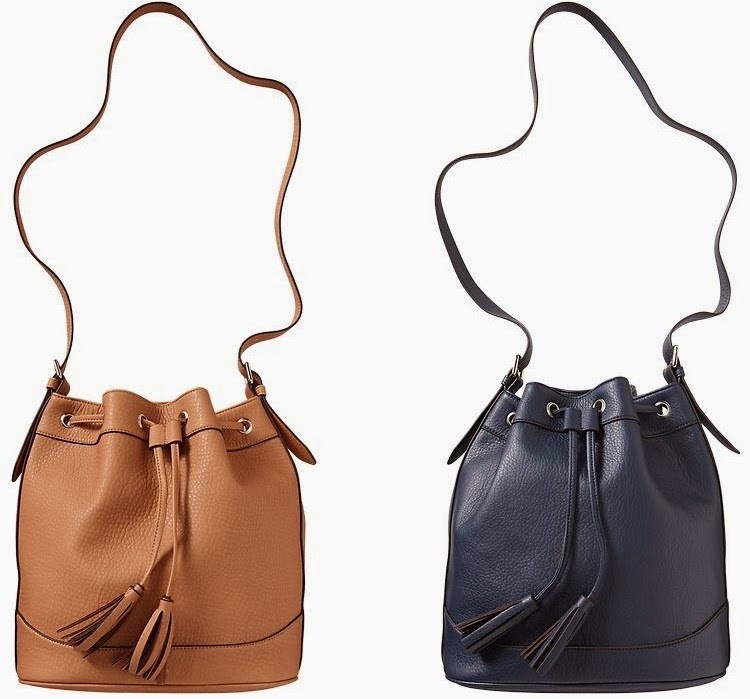 I already yapped about it in last week's link love, but I'm still so obsessed with this Old Navy bucket bag that it just needed to be May's Purse Pick. If you're like me, you've slowly been coming around to the bucket bag/backpack trend. I admit, it's not my go-to style. But something about this one just made me fall in love. Maybe it's the high-end look this one has. Maybe it's the low-end price tag. Or maybe it's the fact that I'm about to be a mama and having something I can just throw stuff in and toss over my shoulder is going to be a way of life from now on. Or, most likely, a combination of all three. Either way, you can and definitely should add it to your summer purse arsenal. And for only $32 plus 25% off if you use the code "SAVE," it really is guilt-free shopping. Oh, and rumor has it that it's available in white in the store, so I know I of at least one place I'll be heading this weekend!